The European Capital of Culture changes on an annual basis. Each country in the EU takes its turn having the European Capital of Culture (ECC) within its boundaries. The nation is fixed on a rotational basis, but there is great competition between the cities and regions of the nominated country for the honor of being nominated as ECC. The decision is made three years ahead, to allow time for preparation. The reason every city wants to be nominated is because there it will receive millions of euro of national and EU investment. The nominated ECC region will also receive millions of euro from the 500,000 extra visitors during its yearas European Capital of Culture. Cities are invited to put forward their proposals and reasons why they should be chosen. The national government makes the decision as to which city deserves the title most, though the decision is partly based on which city can benefit most from the financial investment. In 2005 Cork in Ireland was the European City of Culture. Roads were improved, a sewage system installed and hundreds of thousands of extra visitors flocked to Cork to spend their money. They were treated to musical, theatrical and folk extravaganzas throughout the year. In 2006 Patras in Greece has been chosen as the European City of Culture. Patras is about 90 miles west of Athens. Flights, car hire and accommodation are readily available, just search online, or ask your travel agent. 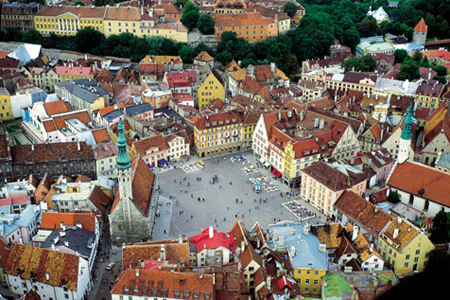 In 2007 Sibiu-Hermannstadt in Romania has been chosen for the European Capital of Culture. Hermannstadt is the German name for Sibiu. The city is the largest centre of German culture in Romania. Located in the Transylvanian forests of legend Sibiu is fast becoming the centre of Romania’s developing tourism industry. The European Capital of Culture in 2008 is Liverpool in England. Liverpool is a historic city whose wealth is based on its port. The port of Liverpool still exists, but is less important now. Liverpool is famous as the home of the Beatles, but has some stunning architecture. The Roman Catholic Metropolitan Cathedral is unusual outside, but absolutely mind blowing inside. You will find it half a mile uphill, behind Lime Street Station, the main railway station.